Margaret MacMillan has 1 media appearance. Margaret MacMillan discusses Paris 1919: Six Months That Changed the World. In History's People, internationally acclaimed historian Margaret MacMillan gives her own personal selection of figures of the past, women and men, some famous and some little-known, who stand out for her. Some have changed the course of history and even directed the currents of their times. Others are memorable for being risk-takers, adventurers, or observers. She looks at the concept of leadership through Bismarck and the unification of Germany; William Lyon MacKenzie King and the preservation of the Canadian Federation; Franklin Delano Roosevelt and the bringing of a unified United States into the Second World War. She also notes how leaders can make huge and often destructive mistakes, as in the cases of Hitler, Stalin, and Thatcher. Richard Nixon and Samuel de Champlain are examples of daring risk-takers who stubbornly went their own ways, often in defiance of their own societies. Then there are the dreamers, explorers, and adventurers, individuals like Fanny Parkes and Elizabeth Simcoe who manage to defy or ignore the constraints of their own societies. Finally, there are the observers, such as Babur, the first Mughal emperor of India, and Victor Klemperer, a Holocaust survivor, who kept the notes and diaries that bring the past to life. Touching on everything from polling to issues of social justice to the way in which political parties package their candidates, Bob Rae identifies the shortcomings of the current Canadian political framework, and what we, as citizens, can do to remedy that. With remarkable insight and startling accuracy, Rae speaks as the voice of reason as he imagines a political forum where citizens are inspired to participate instead of feeling disenfranchised. In this year’s highly anticipated Massey Lectures, internationally acclaimed historian Margaret MacMillan gives her own personal selection of the great figures of the past, women and men, who have changed the course of history and even directed the currents of their times — and sometimes with huge consequences. The first book about and by Chef Normand Laprise plunges us into an explosion of fresh flavours. Join us for a special meet-and-greet with Norman Laprise, Chef de cuisine Charles-Antoine Crête and business partner Christine Lamarche as they sign what many regard as more than just a cookbook but rather a manifesto, TOQUE! Creators of a new Québec gastronomy. Le premier livre sur, et, par le chef Normand Laprise nous plonge dans une explosion de saveurs et un univers de fraîcheur. Une merveilleuse rencontre avec son chef de cuisine Charles-Antoine Crête, et l’inébranlable Christine Lamarche, l’associée des débuts. Venez les rencontrer tous les trois alors qu’ils signeront ce que beaucoup considère comme étant plus qu’un simple livre de cuisine mais plutôt un manifeste, TOQUÉ! Les artisans d’une gastronomie québécoise. "What History Is Good For" Book Review. DAVID M. KENNEDY (The New York Times) on Margaret MacMillan's "DANGEROUS GAMES"
Margaret MacMillan is currently considered a "single author." If one or more works are by a distinct, homonymous authors, go ahead and split the author. 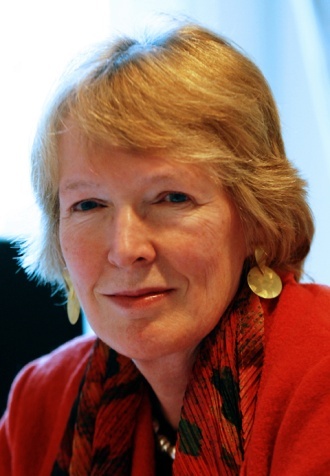 Margaret MacMillan is composed of 10 names. You can examine and separate out names.